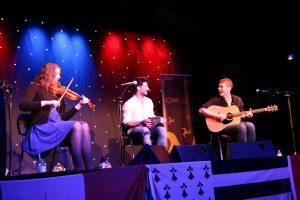 In an effort to introduce Manx and Celtic culture to a wider audience, the much-loved Yn Chruinnaght Inter-Celtic Festival has been given a make-over, but still remains largely based in Peel. With the committee members of Yn Chruinnaght as the organising force behind Celtfest Isle of Man, a fine selection of Celtic music from Ireland and Scotland entertained packed houses at the Centenary Centre. 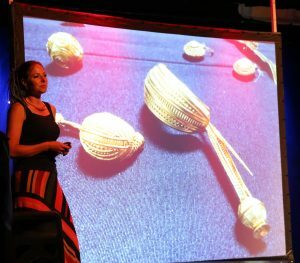 A choice mix of both visiting and local singers and musicians, the week’s activities got off to a great start with the festival’s opening talk on The Celts by Professor Alice Roberts – a sell-out long before the event! A busy outreach programme included concerts for eight hundred local schoolchildren. 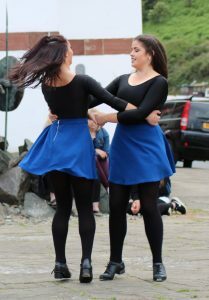 But there was plenty of entertainment in the daytime too, including a new free, family day called The Gathering. Held at Cathedral Isle of Man (aka St German’s Cathedral), it was a great opportunity to relax and enjoy music and dance, an artisan craft fair and local food and drink, alongside mini workshops and children-friendly activities. There was also a selection of local and visiting performers, yarn-spinner and puppeteer Fi Angwin and a whole host of innovative entertainment. 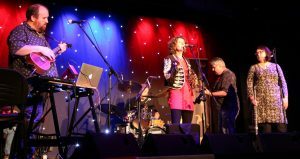 Organisers of Celtfest Isle of Man were supported by Culture Vannin, the Isle of Man Arts Council, Thornton Chartered Financial Planners, the Isle of Man Steam Packet Company, Conister Bank, Shoprite and the Malcolm Scott Dickinson Charitable Trust.